When my children were younger I didn’t struggle with grading their homeschool lessons. I don’t know if it was because they had less subjects or if it was easier to keep up with because the lessons were less intense. As my children entered middle school it became a struggle to keep up with grading their homeschool lessons each day. I knew it was important to keep track of what they were learning, but grading on a day to day or even weekly basis was difficult at times. I know I am not alone in this struggle, but with high school approaching I’ve been diligently striving to figure out how to eliminate the grading struggles that exist in our homeschool. 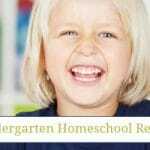 Over the last couple of years I’ve made changes to our homeschool that have helped me go from being an over the top planning homeschool mom to embracing a more relaxed homeschool. It has been a wonderful journey that though it wasn’t easy to begin, I’m so thankful that I took those first steps. Looking back I realize now just how much stress I had put myself under and the unrealistic expectations I had of myself, but more importantly of my children. Whenever someone asks me what our year round homeschooling studies look like, I always tell them that we do not do school 365 days a year. Following that statement is the fact that we do Math and English every homeschool day, while subjects like Science, History, Geography, Music, etc. are completed differently each year. While I do wholeheartedly agree that these subjects are important for my children’s education, it will not be the Geography, History or even Science lessons that they will use every day of their lives. No matter what occupation my children will have in the future they will need Math and English skills to do their job well. That being said, you may or may not agree with my next statement and that is ok. This is what I believe for our homeschool. It does not have to be what you believe for yours. I eliminated the grading struggles in our homeschool by only assigning actual grades to my children’s Math and English lessons. When we became a Teaching Textbooks family their 2.0 courses eliminated my need to grade my children’s Math lessons as it is a self-grading program. 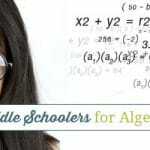 Not only is this the best Math curriculum for non-mathematicians, but it also freed up time in my day and removed a significant amount of stress from my life as Math is not my strong suit. My mom chose to use Rod and Staff’s English curriculum for my brothers and I when she homeschooled us. Since I had seen first hand how well the curriculum worked for us as students, I knew that I wanted to use it for my children as well. While English is my favorite subject I struggle keeping up with grading it the most as a homeschool mom. When the busiest part of our family business‘ winter season had past and I started preparing to get back to our full homeschool schedule, I made one resolution. Every day I would not only read my children’s English lesson with them, but also work through their written practice as well. While this does take a bit more time each day, I have found a tremendous amount of joy working through the entire lesson with my children because it is my favorite subject. It has also reduced a tremendous amount of stress in my daily life. I no longer have to sit down and catch up grading my children’s English lessons because the grading is completed as we work through the written practice together during English class each day! While I have only begun assigning actual grades to my children’s Math and English classes, that doesn’t mean that I’m completely hands off for their other subjects. 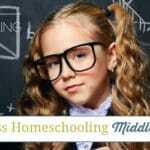 As a homeschool mom I am present throughout their entire homeschool day and I instruct, correct and reteach lessons and processes as needed. When we do begin high school, I’m certain that I will need to make more changes to how I grade my children’s homeschool lessons for Science, History, Music, etc. I know that for this season this is what is right for our homeschool and our family. How do you eliminate grading struggles in your homeschool? I use Teaching Textbooks too and it’s my favorite curriculum! In fact it’s the only curriculum that is getting carried over to next year. I’m new to homescooling and know many states are diff about what you have to do. but my thoughts are, if they are younger kids they have to understand all your teaching at some point to go on. if you cant add right you cant multiply. so over time mastery happens. so why does it matter if this week they get a 70 on adding but in time master it so they can go on. why grade unless your state says you have to, till they are in mid or high school. just keep working on mastery so the harder stuff when their older will be easier. I decided to cut back our grading this year too. Since I am only homeschooling one child right now, I am usually either working through a lesson with her, or looking it over as soon as she is finished. So I record only test scores for math, language, and spelling. I feel that gives me a good base of grades to keep, but isn’t so overwhelming to keep track of. Other subjects we wrap up with projects instead of tests. I may have to change things up once she hits high school, but for now, this works well for us.